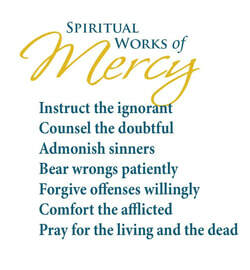 The Works of Mercy Initiative aims to identify those who are most in need and connect them with others to experience Christ's healing touch. NEW PROGRAM!! "Personal Care Closet"
Good Neighbor Program - URGENT NEEDS!